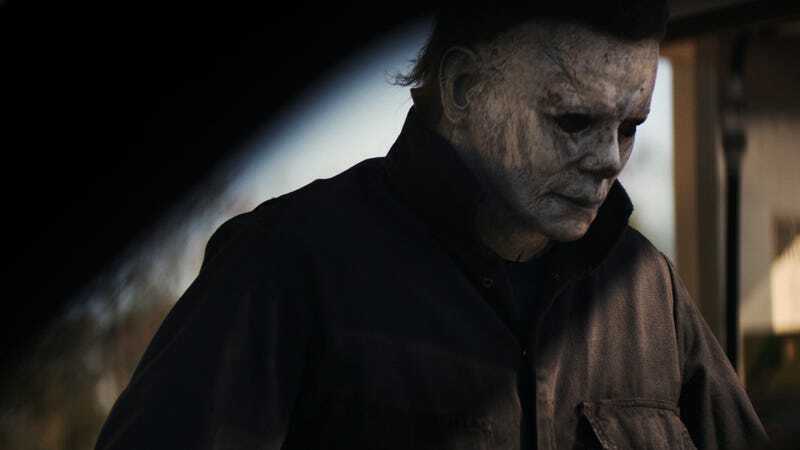 Michael Myers has been waiting 40 years to kill again in the new Halloween. The first trailer for the new Halloween dropped this morning and, for many, it was their first realization of what this new movie is. It’s a sequel, yes, but also a reboot in that it ignores every single other Halloween movie except the 1978 John Carpenter original. In this new Halloween, Michael Myers was captured after falling out of the window in the first film. He was put into a mental institution and there he waited for 40 years. Laurie Strode (Jamie Lee Curtis) waited, too, convinced the demonic killer from her high school years would return. And then of course, he does. Obviously, fans of the Halloween franchise may be a little confused by this approach, which wipes away almost 20 years of sequels. But the filmmakers had very good reasons for wiping the slate clean. That means, as you can tell in the trailer, that Laurie Strode is no longer related to Michael Myers, which was one of the revelations from the later films. However, the trailer acknowledges this change in history—and the rest of the film will, similarly, pay homage to the sequels fans love while also forging its own story. You can read more about the Halloween reboot at the below link. The film, appropriately, opens October 19.